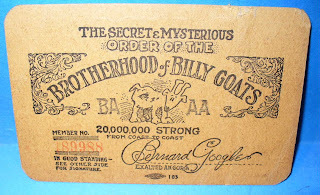 I'm happy to report that I'm now a member of the Secret and Mysterious Brotherhood of Billy Goats!!! Woooha! Am I cool or what? Now, whatsthis? you might wonder. 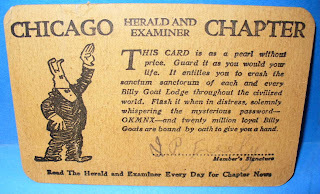 Click on the pics to enlarge, and if you're still as confused as I was when I first saw this I can ease your mind telling you that it will all be explained with some historically Googlealicious documents in a day or two.